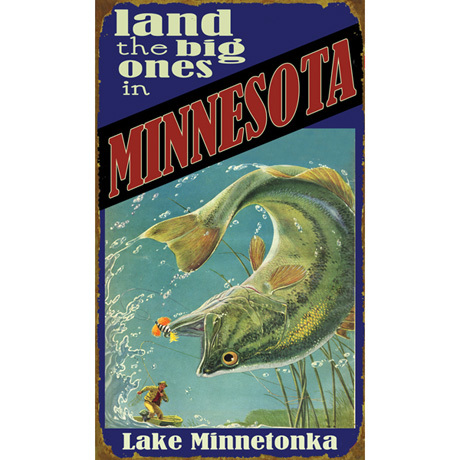 Glorious reproductions of vintage fishing images, spectacularly splashed across a personalized sign that makes each piece of decor truly unique. Made of wood planks. Specify state and body-of-water name, up to 30 characters and spaces each. Please allow 2-3 weeks for delivery. No rush delivery or gift box. Available in four sizes: 14"W x 24"H, 18"W x 30"H, 23"W x 39"H, 28"W x 48"H Item can only be shipped within the Continental US.